SUNDAY, Jan. 14, 2018 (HealthDay News) — Whether you’re training for a marathon or just logging miles, cold-weather running requires some special health and safety precautions, according to a sports medicine expert. That said, it also gives you a chance to get ahead of the competition because people often don’t train once serious cold sets in, Dr. Joshua Blomgren said in a news release. He’s a primary care sports medicine physician at Midwest Orthopaedics at Rush in Chicago, and the aid station medical lead for the Bank of America Chicago Marathon. As for precautions, start by letting the temperature and road conditions dictate your pace and mileage, Blomgren advises. You can run at a normal pace on dry and paved surfaces, but slow down when conditions are icy and slippery. Also stick to paved roads. Avoid wooded trails and paths, which are more likely to be icy or snow-packed. He also suggests running during mid-day, when temperatures are generally highest. Dress in layers with fabrics that move moisture away from your body. When it’s extremely cold, warm up indoors before heading outside. 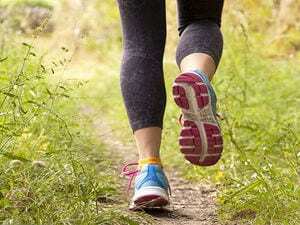 Start your run slowly and gradually increase your speed. Blomgren says that these precautions will reduce the risk of muscle and ligament injuries. Though your chances of overheating are slim during cold weather, other health concerns remain. For instance, at temperatures below 40 degrees Fahrenheit, your heart has to work harder, resulting in a higher heart rate and blood pressure, Blomgren says. He suggests using a heart rate monitor to alert you to any abnormalities that might develop. Also consider using cold weather as a reason to do indoor cross-training, such as hip and core strengthening, he suggests. That can help you build a strong base for running when it gets warmer. The American Osteopathic Association outlines how to stay active in cold weather.